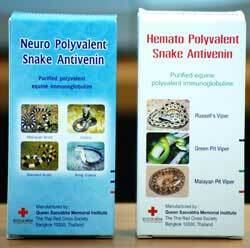 Red cross Snake antivenom against Malayan Krait snake bites for people travelling to Asia and people who own a Malayan Krait snake. 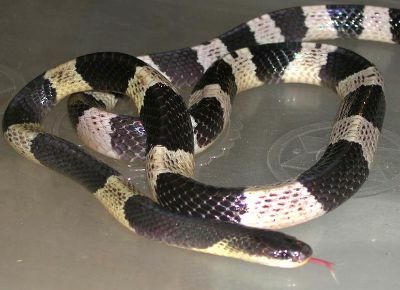 The freeze-dried Malayan Krait antivenom must be reconstituted with the solution supplied (or 10 ml of sterile water for injection) prior to the administration. 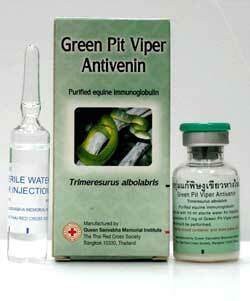 Initial dose 100 ml. 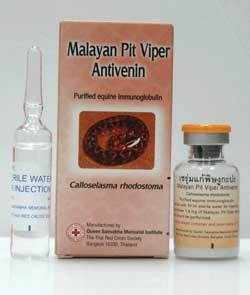 The reconstituted Malayan Krait antivenom should be given by slow intravenous infusion (approx. 2 ml/min). Subsequent dose can be given every 12 hours according to the clinical symptoms. 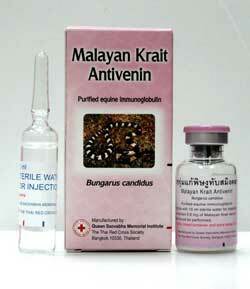 Since the Malayan Krait antivenom is prepared from horse serum, sensitization to heterologous protein may occur in some individuals. 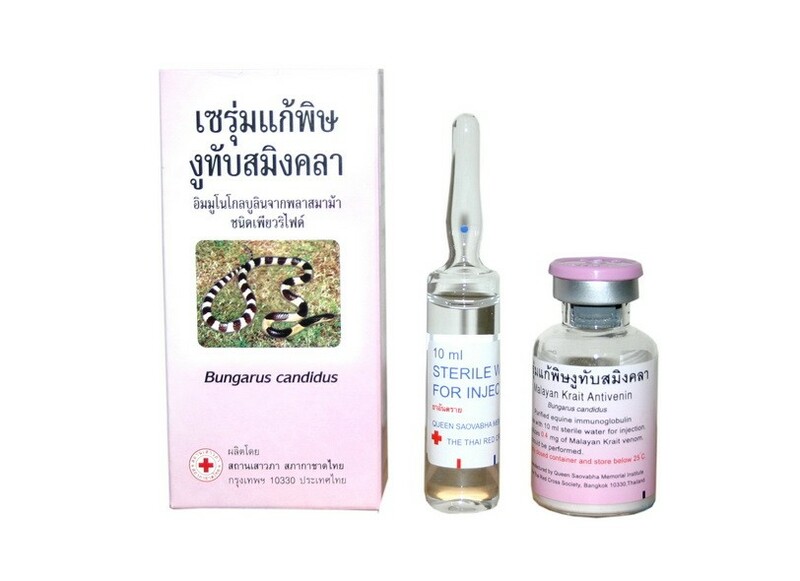 To avoid serious allergic reactions, skin test should be performed prior to the administration by injection of 0.02 ml of 1:100 antivenin dilution intradermally. It should be noted that the skin test may not predict the anaphylaxis nor delay serum sickness reactions.